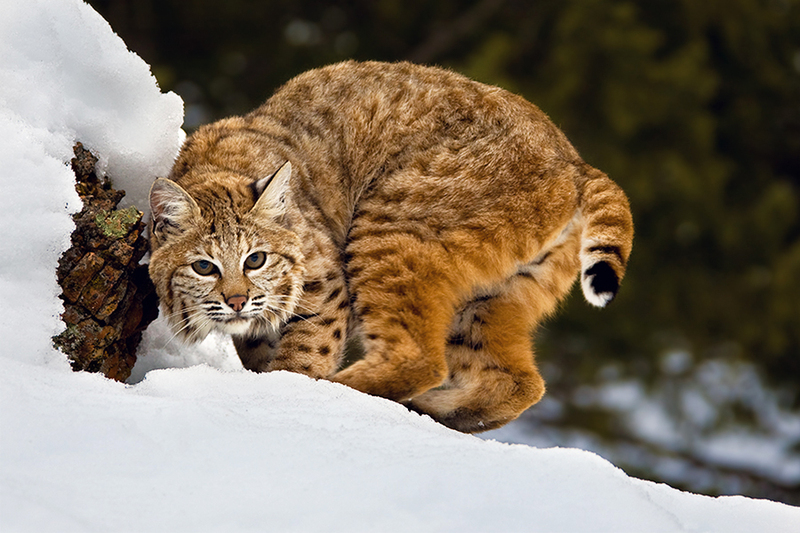 The stealthy, elusive and beautiful bobcat (lynx rufus) is so named for its shorter "bobbed" tail. This nocturnal relative of the magnificent Lynx is the smallest of the family, weighing in from 11 to 30 pounds, and measuring 30 to 48 inches long, nose to tail. Solitary by nature, these fierce hunters stalk in stealth mode, and when ready, leap as far as ten feet to pounce on their unsuspecting prey. This photograph captures a young bobcat in the fraction of a moment between an angry warning and pure feline curiosity.